We have been working hard at releasing new features and updates each week or bi-weekly, so keep those great reviews coming! Why we need positive reviews! By helping others in the WordPress community with reviews, you are helping grow the very platform we are all using and developing with. Leaving good feedback and reviews is essential for EasyCart to continue to grow and foster new and exciting features and updates. While we can't do everything, we certainly are quickly becoming a leader in the WordPress eCommerce community! What does leaving a positive review do for you? EasyCart, as many of you know, is a bargain shopping system, and leaving reviews helps promote what we do as an ecommerce community so we can grow the platform you use. Reviews you leave help foster change in our software, promote other users to come onboard, and gives us the needed boost to continue injecting new features into our ecommerce platform! Where do you leave a review? 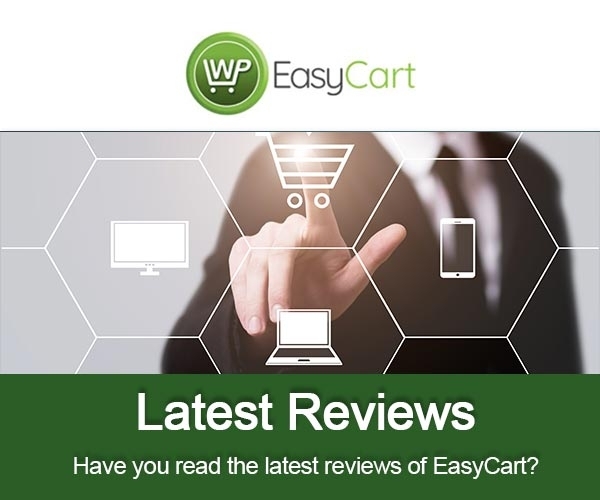 We encourage you to visit www.wordpress.org and leave a 5-star review for WP EasyCart. If you ever have any concerns or support questions, be sure to contact us at www.wpeasycart.com.